Filled, two component (A+B) liquid epoxy that can be cast solid or thickened for brushing on / troweling on to vertical surfaces. 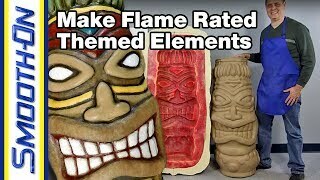 Material cures to a rock-hard solid with negligible shrinkage. 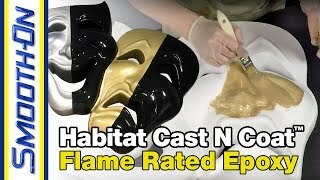 Habitat Cast N Coat™ certifies to the highest flame rating available (ASTM E84, Class A), making this material ideal for public space fabrication applications. Also, it does not contain VOC’s, phthalates or crystalline silica (a known carcinogen) and is safe for making elements used in proximity to animals/reptiles and aquatic life. Release agent for nearly every mold making and casting application. A release agent is required to remove epoxy from most surfaces.